A mesothelioma is a rare form of cancer affecting the thin lining, mesothelium, that covers most of the internal organs. The most common site is the pleural lining covering the lungs. Other affected sites are the peritoneum lining the abdominal organs, pericardium covering the heart, and tunica vaginalis covering the testes. Exposure to asbestos increases the risk of developing a mesothelioma. Widespread knowledge about the dangers of asbestos has limited its use in construction but certain workers exposed to asbestos are still at risk. In case of lung involvement, symptoms seen include respiratory distress and chest pain. 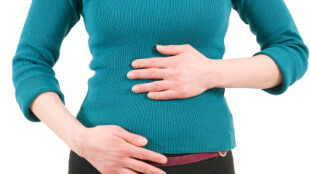 Similarly abdominal involvement leads to abdominal pain, lumps in the abdomen and weight loss. Mesothelioma is an aggressive cancer. It is often diagnosed at advanced stage at which point the prognosis is poor and leads to deathl. Treatment options depend upon the site and stage of the disease and include surgery, radiation and chemotherapy. Fluid in the pleural cavity. Distended abdomen due to fluid accumulation. Pericardial involvement leads to heart failure characterized by shortness of breathing and generalized body swelling. Testicular enlargement may be seen when the testes are involved. Spread of the cancer to various other sites may also contribute to the clinical presentation. A mesothelioma is a malignant tumor arising from the lining of certain organs. As with any cancer, there is an overgrowth of abnormal cells that invades and destroys tissue. There is a risk of these cancerous cells spreading to other organs. The genetic material of cells may sometimes undergo sudden irreversible mutation under the influence of certain environmental factors and lifestyle habits leading to the development of cancer. The most commonly associated factor with mesothelioma is exposure to asbestos. Asbestos is a mineral with wide variety of application in insulation, cement, flooring and brakes. The dust of asbestos may settle in the lungs through inhalation or in the stomach through swallowing. Mesothelioma can occur even after short duration of exposure as short as 1 to 3 months. However the manifestation of the disease usually takes a long time like 30 to 40 years in most cases. A mesothelioma may also arise with exposure to radiation or asbestos-like substances such as eronite. Occupational exposure to asbestos as well as living with someone exposed to asbestos also increases the risk of a mesothelioma. It has been proposed that the polio vaccine developed using monkey virus SV40 may increase the risk, however, the association is yet to be confirmed. 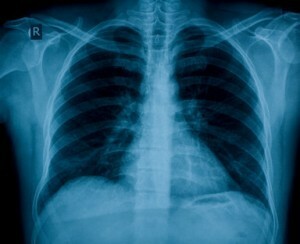 Mesothelioma is often diagnosed at advanced stage with limited treatment options. Surgery is attempted in early stage mesothelioma to remove cancerous part. In late stages surgery is done to relief symptoms by removing cancerous part as much as possible. Anticancer drugs (chemotherapy) administered directly inside pleura or peritoneum or through veins may be necessary to kill the cancerous cells. Radiation is often used along with surgery.